We’ve been hosting Smoky Mountain visitors for generations, and we know how to do it right. We’ve got plenty of comfortable hotels, motels and resorts that can be your home base for enjoying all the mountains have to offer. 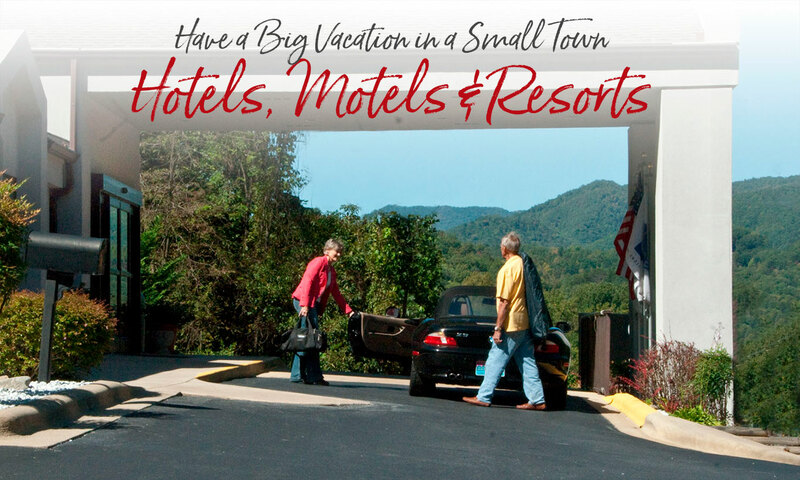 Find a Bryson City hotels, motels or resorts for your next getaway. Search by name, by amenities, by community area, or by amenities plus area. Click on thumbnails to enlarge. Reasonably priced accommodations in quiet, rustic surroundings. Located near Fontana Lake and the Tsali recreational area. Pool, grills, picnic tables, playing field for group games, walking trails, and coin operated laundry. Seven completely furnished cabins, each with a fully-equipped kitchen, heat and air conditioning, TV, covered porch and fireplace. Open year round. Located on the Cherokee Indian Reservation, this 154 room property features guest rooms with 2 double beds or 1 king bed with complimentary hot breakfast. Large indoor heated pool/outdoor seasonal pool, free wifi, free parking, Cable TV with free HBO, gift shop, art gallery and guest laundry facilities. Located just 1 ½ miles from Harrah’s Cherokee Casino. Close to all area attractions and Great Smoky Mountain Railroad. Restaurant open with seasonal hours. Catering and meeting space available. 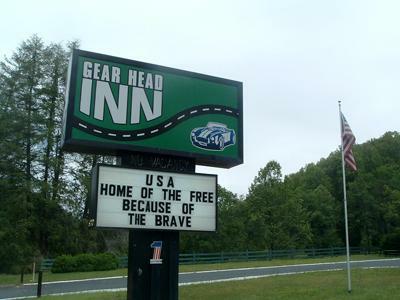 Newly remodeled 50-room CHOICE franchise hotel in Bryson City. Free continental breakfast, free local calls, free weekday newspaper, seasonal outdoor pool, free high speed wireless access, free coffee and tea 24 hours, business center. Open year round. Fourteen attractive rooms with modern furnishings and wi-fi. Well landscaped grounds graced by picturesque dogwoods and towering evergreens. Pool. Seasonal heat or air-conditioning. Color cable tv with remotes. Non-smoking rooms available. Just a short walk to the Great Smoky Mountains Railway, restaurants and shops. Within minutes of golfing, tubing, rafting, Cherokee Indian Reservation and Casino, and the Great Smoky Mountains National Park. Open April thru October. Limited operation in November. Conveniently located in downtown Bryson City this hotel has it all: clean, quiet rooms - several with river view, pool, in room phones, refrigerator and microwave. Complimentary coffee in lobby. Free high speed internet. Walk to the train, library, or one of our many great restaurants. Open year round. Escape to romance & gracious lodging at the closest boutique hotel to Great Smoky Mountains National Park main entrance and Blue Ridge Parkway. 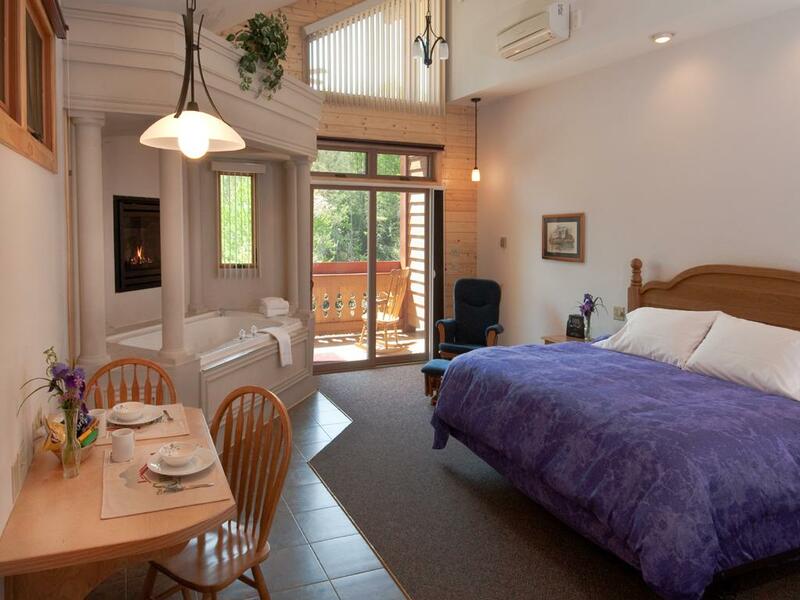 Large & economy rooms, a fireplace suite and jacuzzi suite. All with private baths & balconies/patios, A/C, robes, CD Players, free high speed WiFi. Enjoy smores at our campfire or cozying up to the fireplace in the Great Room; rates include full breakfast in the dining room, on the patio by the brook or in your suite. 22 private forested mountain acres with hiking trails. Come and experience fine southern hospitality at Baymont Inn-Cherokee! Our friendly staff lays out a delicious continental breakfast every morning. Our rooms are clean and comfy and come with such amenities as a microwave & refrigerator, pillow-top matresses, coffeemaker, iron/board, free Wi-Fi and lots more. Located on Acquoni Road just a mile from downtown and just a short drive from Harrah's Casino. Shuttle service is available to the casino. The home of the world famous road known as The Dragon. A full service motorcycle resort with a gas station, 50 seat bikers' restaurant, motel and general store with Dragon souvenirs. US 129 & NC 28. 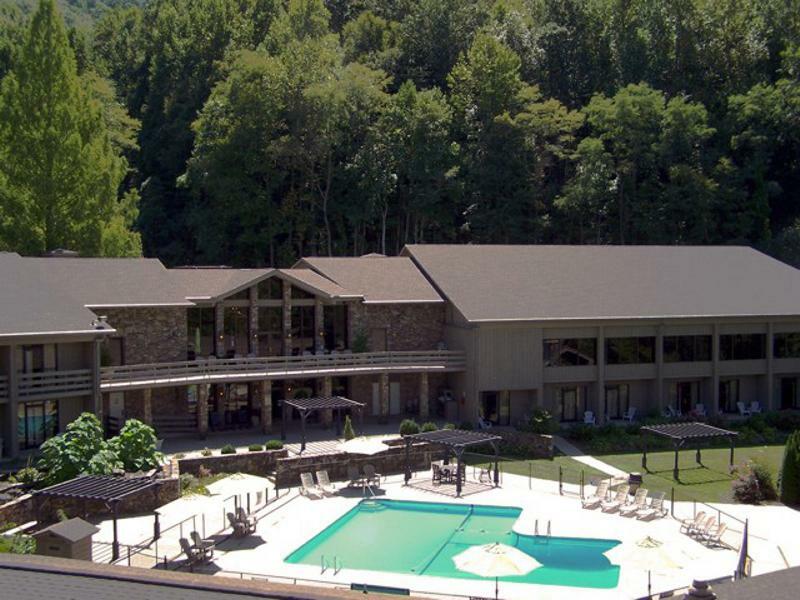 Fontana Village Resort, a year round destination resort, is set amidst the pristine beauty of the Nantahala Forest of western North Carolina, gateway to the Great Smoky mountains National Park. The area's breathtaking mountain vistas and panoramic views from Fontana & Cheoah Lakes provide memories to last a lifetime. The resort offers a variety of accommodations including the Lodge at Fontana Village, cabins in the forest and camping on the shores of Cheoah Lake. There is a full schedule of outdoor adventure and entertainment throughout all four seasons of the year. Lakeview at Fontana evokes a quaint Mediterranean ambiance; complete with charming courtyard, yoga studio and spa. This adults-only, mountain inn and spa is secluded, affordable, and low-key. With only 15 suites, occupancy is kept to a cozy minimum. Enjoy the pool, treetop soaking cabana, wine each evening, and continental breakfast. 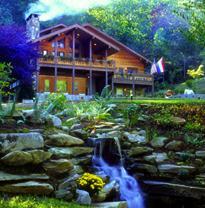 Enjoy spectacular views of Fontana Lake and the Smoky Mountains. Great service and great views from our location! 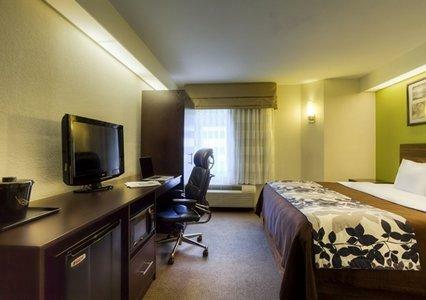 Free High Speed Wireless Internet Access and complimentary continental breakfast. Suite amenities include coffee maker, microwave and refrigerator. Handicap accessible. Minutes away from all of your outdoor adventure. Special package offers through the Great Smoky Mountains Railroad. Scenic riverfront location, fishing dock, just outside downtown Bryson City, convenient to all area attractions. New rooms range from small queen-bedded rooms to large doubles, and kings, all with refrigerators, microwaves, and in-room coffee. We also have one cottage and one wood cabin. Open April thru December. Wi-Fi available. One or two bedroom efficiency rooms, kitchen/dinette/living room, queen size bed, large sitting porch, beautiful view. Laundromat, ample parking for buses and groups, group rates, public showers, tube rental and game room, hiking, picnicking, trout fishing, horseback riding. Located at entrance to the Great Smoky Mountains National Park. Open Mid April through Labor Day. Lloyd’s on the River Country Inn is nestled in a beautiful, quiet riverfront setting, just five miles from Bryson City and Cherokee, on US Highway 19. Our location provides easy access to the area's dining, shopping, and attractions including the Great Smoky Mountains National Park, whitewater rafting, the Great Smoky Mountains Railroad and more! 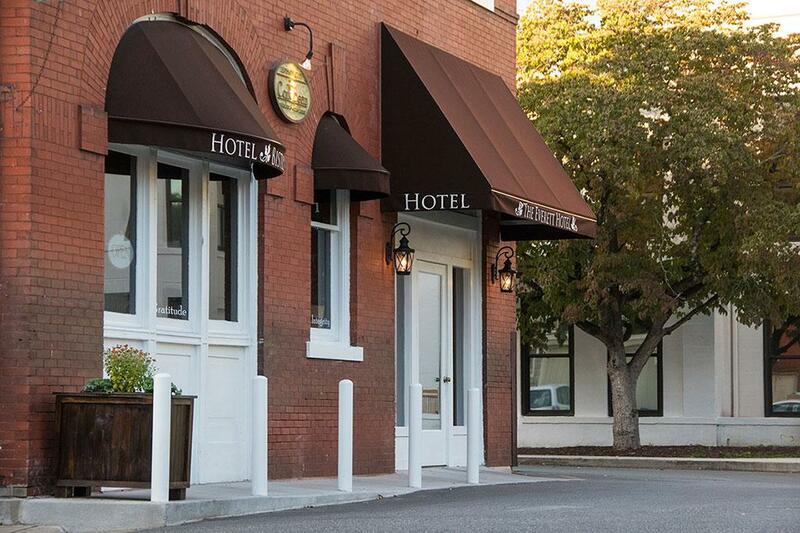 Self-contained suites minutes from Great Smoky Mountains National Park, Blue Ridge Parkway and Harrah's Casino. Private entrance & balcony or patio with rockers. Each suite includes whirlpool tubs and steam showers for 2, fireplace, king bed, A/C, free Wi-Fi, AppleTV with free NetFlix, ESPN, and Internet Radio, refrigerator, microwave, coffee maker. Enjoy a free full breakfast in your suite, book a spa service, or just go explore. Totally non-smoking. Handicap accessible. Our Alpine style and 22 private mountain acres with hiking trails, brook, and mountain views evoke the essence of a mountain getaway. Downtown motel with reasonable rates is within walking distance to Great Smoky Mountains Railroad Depot, restaurants and shops. Eighteen rooms with cable TV and phone. Business center with free high-speed internet access. Take a virtual tour. 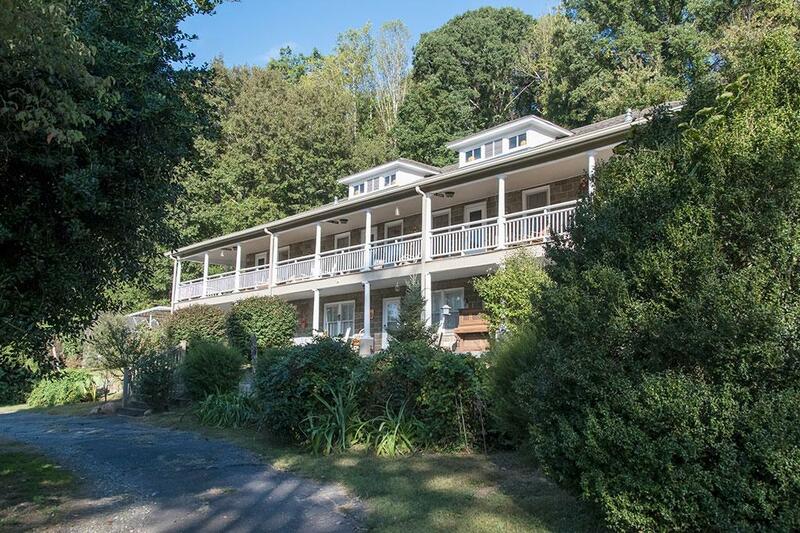 Want to rock awhile overlooking the river, catch an early train ride, or have a mountain view? How about a swim in the pool, or a game of tennis, or a relaxing day at the spa? Our hotels, motels and resorts have that much to offer and more. Some Bryson City hotels, motels and resorts are open year-round, some seasonally. Some are handicap accessible. And if you want to bring the family pet, there’s a Bryson City pet-friendly hotel, motel or resort that you both will love.